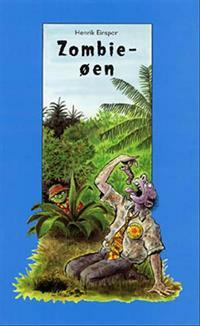 I recently finished reading “Zombie-øen”, by Henrik Einspor. It is a 64 page detective story about – yes you guessed it – zombies! I borrowed this book from my local library here in Solrød Strand, and it comes as a set complete with an audio CD. What I’ve been doing is listening along to the audio at the same time as reading the book.